Highly flexible installation layout capabilities for maximized floor space. 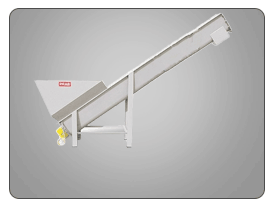 Pneumatic Scrap Conveyors are air transfer systems for moving wet or dry chips to a central chip processing system or load-out container. No plant air is required. 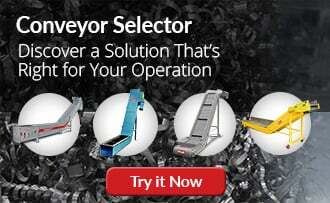 Pneumatic conveyors are a popular and versatile method of transferring scrap. They make it easy to add lines for flexibility and allow for maximized floor space. PRAB conveyors have the industry’s leading reputation as being dependable low-maintenance equipment with long service lives. 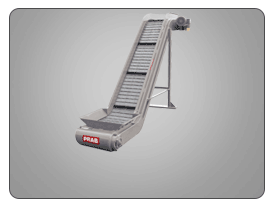 PRAB Pneumatic scrap conveyors offer operation and installation flexibility. 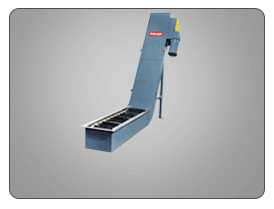 This specific scrap material conveyor model is designed to pick up directly from CNC machining centers and transfer wet or dry material to a central chip processing system or load out container. The overhead piping of the pneumatic scrap conveyor allows for installation flexibility, whether you need to locate your scrap metal equipment near the ceiling or in tight spaces. The pneumatic design allows for easy reconfiguration when modifying plant space. PRAB’s chip fan transports dry chips up to 250 ft (76 m) or more. Positive displacement blower or PD pump can be fed by rotary air locks or eductors for multiple chip inputs and long distances. Cyclone receivers reduce chip velocity when conveyed through the system. Available in abrasion-resistant steel or manganese (for severe-duty) liners and in automatic swivel or single discharge chute. 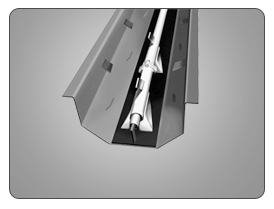 Vacuum blower transports wet or dry chips with multiple pick-up points to central chip processing location. All systems utilize hardened bends and filter/cyclone receivers. All wear items are nickel-plated and abrasion-resistant. Cyclone receivers reduce chip processing velocity as they are conveyed through the scrap handling system. Available in abrasion-resistant steel or manganese (for severe-duty) liners, and in an automatic swivel or single discharge chute.